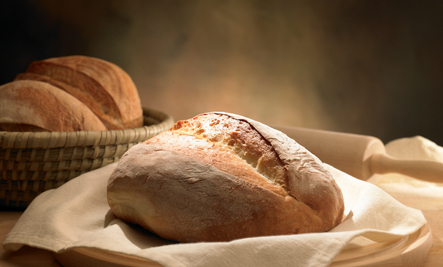 We are in the midst of a sequence of Gospel readings taken from John 6 – the Bread of Life discourse. We coming to a critical point in the narrative as Jesus alternatively has addressed two groups: the crowd of people who followed Jesus and his own disciples. Everything began with the miraculous feeding of the 5,000 (plus) people whose response is that they want to take Jesus away and declare him “king.” (v.15) But Jesus knows their hearts and withdraws – but the crowd follows. They are astounded by the miracle of the feeding, but missing the “sign” it was meant to convey. The want more; they follow – they will want more signs. Jesus challenges them on what they are seeking (v.26), but again the people misunderstand and the conversation descends into the people beginning to understand the bread is a gift and that the real bread they should be seeking is eternal – but since it is “too good to be true” they want to know “what’s the catch – what do we have to do.” Jesus replies: 27 Do not work for food that perishes but for the food that endures for eternal life, which the Son of Man will give you. For on him the Father, God, has set his seal.” 28 So they said to him, “What can we do to accomplish the works of God?” 29 Jesus answered and said to them, “This is the work of God, that you believe in the one he sent.” Jesus replaces their “works of God” with the singular “This is the work of God, that you believe in the one he sent.” There is one thing needed: faith, trust in the person of Jesus. If they are looking for what they must do, then Jesus has answered their question. Will they make the move from “performance” to giftedness? 32 So Jesus said to them, “Amen, amen, I say to you, it was not Moses who gave the bread from heaven; my Father gives you the true bread from heaven. 33 For the bread of God is that which comes down from heaven and gives life to the world.” 34 So they said to him, “Sir, give us this bread always.” 35 Jesus said to them, “I am the bread of life; whoever comes to me will never hunger, and whoever believes in me will never thirst. In essence, look past the bread that perishes and see the one who gives life eternal – the person of Jesus come down from heaven in order to give life to the world. This is when the grumbling begins. This does not make sense to the crowd, I mean, they know his family, they know him. And the crowd grumbles exactly as did the Israelites in the desert. The sign they need to see is that Jesus is the son of God (1:17); his earthly family holds no key to his identity. The people’s misplaced certitude about Jesus’ origins blinds them to his true origins. What does it mean for Jesus to speak of the gift of his flesh for the life of the world? First, the language at the end of v.51 recalls both 1:14 (“and the Word became flesh”) and 3:16 (“God so loved the world that he gave his only Son”). Verse 51 thus evokes the incarnation, the gift of Jesus’ life out of God’s love for the world. Second, it is possible to see an allusion to Jesus’ death in the language of v. 51: Jesus will give up his life, his flesh, as an expression of the same love manifest in the incarnation (10:17–19; 15:13). Finally, any Christian reader of v. 51, from the Fourth Gospel’s first audience to the contemporary church, would hear eucharistic connotations in these words. The eucharistic imagery is not yet fully explicit (that will occur in vv. 52–58), but the direction of the imagery for the Christian reader is clear.